At CrossFit Torrent, we are obsessed with coaching. We eat, drink, and sleep coaching. Early alarms and late nights don't phase us – we are focused and committed. In an industry plagued with mediocrity, we strive to set a higher bar. Simply put we are professionals, and we are investing heavily in progressing our coaches to new heights. Through a culture of excellence and a dynamic development framework we equip our coaches with the tools and resources they need to excel and evolve. If you're ready to go from JV to Varsity...read on and apply. If you're content with mediocrity...keep scrolling Instagram. · Lead and coach group classes. Manage flow, provide instruction, and maintain safety. · Office hours to assist with facility improvements, attend team meetings, work on individual projects, and implement other initiatives under the direction of the Manager. · Handle member inquiries, provide information about our program, and track attendance. · Plan and facilitate community events that take place throughout the year. · Implement programs under direction of the Manager. Want to enjoy a workplace where you can be yourself, be heard and be respected while having a job that challenges you? This is the place. 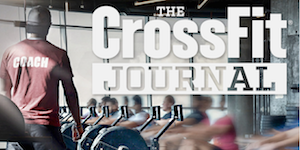 CrossFit Torrent offers unique competitive benefits to its team members while focusing on their career development and growth. * CrossFit Torrent is an equal opportunity employer.